Juris Corp was Co-founded in the year 2000 by Jayesh H with the objective of becoming the Preferred Law Firm for a select clientele. Under his stewardship the Firm grew manifold and became a quality name to associate with. Jayesh is a law graduate from the Government Law College, Mumbai. He is enrolled as an advocate with the Bar Council of Maharashtra and Goa and also a solicitor enrolled with the Bombay Incorporated Law Society. 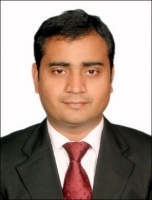 He is a Chartered Financial Analyst as well as a diploma holder in Business Finance. As a Chevening Scholar he has gained experience in English and European Community laws and regulations by undergoing training at the College of Law at York and working briefly with a London based firm of Solicitors in their Corporate Finance Department. Jayesh H has extensive transactional experience in inbound and outbound foreign investment, private equity transactions, mergers and acquisitions, joint ventures, acquisition financing, leveraged buy-outs, sponsor financing, restructuring, etc.He is the pre-eminent practitioner in India for Structured Finance and Bankruptcy and Restructuring and amongst the leading practitioners in India in the areas of Capital Markets, Corporate Banking, Dispute Resolution, M & A, Private Equity & Joint Ventures. Talat is a Co-founder of Juris Corp and has played a key role in facilitating rapid growth of the Firm. Talat is a law graduate from the Government Law College, Mumbai. She is enrolled as an advocate with the Bar Council of Maharashtra and Goa and has also done her B. A. in Economics from Mumbai University. She is an expert in the field of Intellectual Property Rights, Securitiation and Islamic Finance. Nand graduated in law from Indian Law Society's Law College, Pune in 2006 and is enrolled as an advocate with the Bar Council of Maharashtra and Goa. Nand is presently a Partner, heading the Project Finance practice and co- heading the Banking and Finance team at Juris Corp.
Nand has gained significant experience in the field of Projects and Banking and Financing transactions. He regularly advises banks, financial institutions and corporates on life cycle of legal due diligence, drafting and reviewing project documentation such as PPA, PPP, EPC and O&M contracts, subscription agreements, concession agreements, operation and maintenance agreements in relation to various project sectors such as power (wind, solar, thermal, hydro-power), rail, metro, road, ports / airports, oil and gas, steel, real estate, manufacturing, mining etc. He has provided tailored solutions across national borders and was uniquely positioned to support the banking and cross-border financing requirements of clients across the full spectrum of financing transactions, including facilities for domestic, overseas and cross-border transactions, external commercial borrowings, overseas direct investments and project (including power, rail, road etc.) and assets financing. He has regularly represented banks, financial institutions, sponsors and corporates in negotiation and documentation of various financing transactions, including advising on credit facility agreements, security documentations, inter-creditor arrangements, cross border acquisitions and regularly advises clients on cross border issues. Nand’s core areas of practice are Banking and Project Finance. He specializes in matters pertaining to acquisition financing, project finance, bilateral, syndicated lending and security creation, external commercial borrowings and overseas direct investments. Arunabh Choudhary is a Partner at Juris Corp heads the Start-up and FinTech practice. He has rich experience in the sector and has assisted various Start-ups and investors on funding as well as other corporate issues. He is actively involved in creating legal & regulatory awareness amongst Start-ups. He has been highly appreciated for his understanding in the Financial Technologies (FinTech) sector. His FinTech related practice includes advisory, regulatory approvals for online instruments viz. e-wallets, payment gateways etc; drafting processes including KYC/AML, agreements, terms and conditions etc. His other practice portfolio encompasses Commercial Laws, Tech Law, Private Equity transactions, Securities, Taxation, Competition Law and Policy Advisory. He caters to diverse national and international clients including corporates, funds as well as start-ups. He has advised organizations registered with multiple regulators viz. SEBI, RBI and IRDA. He also represents and advises the Competition Commission of India (CCI), and deals in complex matters faced by emerging FinTech entities, including aggregators. His core areas of practice are Start-Up, Commercial Laws, Tech Law, Private Equity transactions, Securities, Taxation, Competition Law, Policy Advisory and Fintech. Pratish is a Partner at Juris Corp and heads the Banking and Finance practice. He focuses on all kinds of debt transactions (like secured, syndicated, project financing, foreign currency borrowings, etc. ), debt instruments (non-convertible instruments and equity linked non-convertible debentures) and structured finance products. He has advised clients on debt restructuring mechanisms including formation of joint lenders forum, corporate debt restructuring, strategic debt restructuring, conversion of debt into equity and issues relating to enforcement of security interest. A graduate from National Law Institute University, Bhopal, Pratish started his career with Juris Corp in 2008, as a part of the Banking and Finance team before moving to J. Sagar Associates in 2012. He has been recognised as leading lawyer in banking and finance by Asialaw Profiles for the year 2011. Pratish heads the Banking and Finance practice in the firm and adivises clients in all the areas relating to Banking and Finance, Regulatory and Policy and Project Finance. Shubhabrata Chakraborti is a Partner at the Firm and heads the Dispute Resolution practice. His role at the Firm involves assisting and representing clients in relation to various commercial disputes, technical claims, commercial claim arbitration and litigation arising from actions. Shubhabrata has also advised and represented clients in relation to merger order, anti-trust proceedings, admiralty proceedings, enforcement of foreign courts judgment or arbitral awards etc. Shubhabrata has over 9 years of experience in litigation relating to commercial matters, civil litigation, writ petitions, arbitrations, admiralty matters, competition laws, issues pertaining to EPC and BOOT contracts and insolvency matters.Shubhabrata is a law graduate from University of Calcutta and is enrolled as an advocate with the Bar Council of West Bengal. His core areas of practice are Litigation, Arbitration, Insolvency and Bankruptcy, Commercial and Real Estate Disputes.